I suppose we’ve all witnessed that kind of evangelism. Oh, not literally hitting someone over the head with a lunch box, or anything else. But evangelism that is aggressive. Belligerent. And even insulting. In a world that says we ought to keep our faith private, God wants us to take the saving Gospel of Christ into all the world (Mk. 16;15-16). We should not be ashamed of the gospel, or Jesus Christ. When first century Christians were persecuted they did not recoil or recant, but went everywhere preaching the Word (Acts 8:4). However, there is a right way to seek converts. And a wrong way! The apostle Paul gives this inspired advice that would improve our evangelistic efforts. In these two verses there are four things we can do to be more effective when sharing our faith with others. 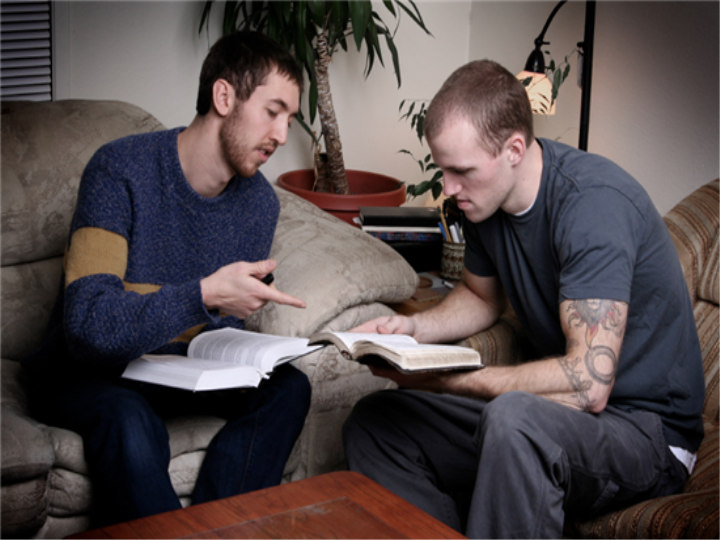 Knowledge is obviously important in teaching others about Christ, but effective outreach also requires wisdom. Sound judgment. Prudence. Understanding. Wisdom seeks to understand others. Their point of view. Background. Religious experiences. Spiritual problems. And biblical understanding. (2) Be Aware of Opportunities. There are many seekers in this world today. Hurting souls. Depressed souls. Lost souls. They feel empty on the inside. They are searching for something, but not sure what it is. Christians have the opportunity to share the Good News of Jesus. And to lead people into a spiritual relationship that will change their lives and bless them eternally. We need to seek opportunities to share our faith. See the opportunities when they present themselves. And then seize the opportunities that we see. Hypercritical, unkind language does not win people to Christ. While we are commanded to “speak the truth” to those who need to hear it, the Bible says to do it in the spirit of love. (Eph. 4:16). I can contend for the faith without being contentious. I can disagree without displaying a disagreeable spirit. I can affirm the truth without being obnoxious. I can differ without being difficult. And I can persuade without being pushy. (4) Respond instead of react to others. When I react to what someone with whom I disagree, it is almost always negative. Without forethought, it is too easy to spout off and hurt another’s feelings. Antagonize them. Or erect a barrier that can never be eradicated. Maybe the best suggestion I can offer in sharing you faith is this. Be the Good News before you share the Good News!